A longtime executive, the billionaire descendent of Cargill's founders served on the board from 1963 to 1996. Cargill MacMillan Jr., a longtime Cargill Inc. executive and billionaire descendant of the agribusiness giant's founders, died Monday at age 84. MacMillan worked at Cargill for 38 years before retiring in 1988. He died at his home in Indian Wells, Calif., from complications of Parkinson's disease. MacMillan's wealth has been estimated at $2.6 billion by Fortune magazine, making him one of the richest longtime Minnesotans. He moved in 1990 from Minnesota to the Palm Springs area, where he was known for his arts philanthropy, according to the Desert Sun newspaper. A great-grandson of Cargill founder W.W. Cargill and son of Cargill president Cargill MacMillan Sr., Cargill MacMillan Jr. grew up in Wayzata. 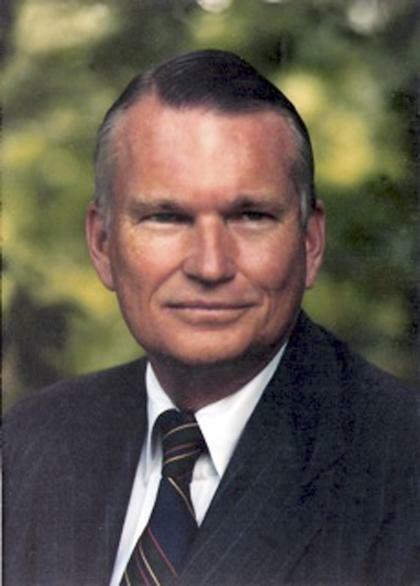 He served in the U.S. Air Force and graduated from Yale University, then started work at Cargill in 1950 as a trainee, eventually becoming a senior executive. Cargill MacMillan Jr. is credited with the vision, design and construction of Cargill's corporate office center in Minnetonka. He served on Cargill's board of directors from 1963 to 1996 and chaired its finance committee. MacMillan also served on the boards of many Twin Cities organizations, including Abbott-Northwestern Hospital, Twin Cities Public Television, the Minneapolis Institute of Arts and the Greater Minneapolis Chamber of Commerce. Started in 1865 as a grain handling outfit, Minnetonka-based Cargill has become one of the world's largest privately held firms with more than $100 billion in annual revenues. The Cargill and MacMillan families still own about 90 percent of the company. Cargill MacMillan Jr. was among the last generation of family members with an active role in the company, as was his brother Whitney MacMillan, the last family member to serve as chief executive officer. Cargill MacMillan Jr., Whitney MacMillan and their sisters Marion MacMillan Pictet and Pauline MacMillan Keinath are ranked in a tie for 150th in Fortune's most recent tally of America's richest people. Their ranking has slipped in recent years as America's billionaires have multiplied. Cargill MacMillan and his wife, Donna, have a renowned art collection, much of which has been donated to museums across the country. He is survived by Donna, his brother and sisters, six children, 24 grandchildren and two great-grandchildren. Access Vikings: Would a no huddle offense help Bridgewater? Second vehicle runs through Ferguson march in Mpls. Poll: How will the Gophers and Vikings do this weekend?